04-May-2002 -- It is a late report because when I found this confluence I was only a geocacher. So here is a geocache, please visit it: Hungarian or English. 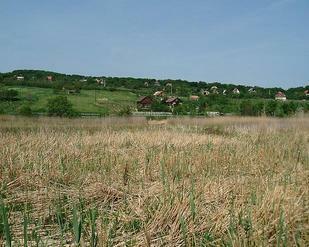 It is an interesting point because it is 50m from the shore of Lake Balaton, in the reeds. But thx to low water we found it without swimming or diving. #1: The view to North.